There is no doubt that Aristotle was the most important naturalist of classical times. For about 18 ages his books Historia Animalium, De Partibus Animalium and De Generatione Animalium set the zoological stage. As his followers did not take the effort to observe themselves their works are much less accurate. The works of these ancient authors do not contain illustrations, 'so it is mostly hard to tell which exact species they described. Analyses of fishes in old Greek works: Thompson, T.P., A Glossary of Greek fishes. Oxford University Press, 1947. Analyses of marine species in old Latin works: Saint-Denis, E. de, Le vocabulaire des animaux marins en latin classique. Paris, 1947. Greek philosopher, student of Plato and teacher of Alexander the Great. He wrote on many subjects, including physics, metaphysics, poetry, theatre, music, logic, rhetoric, politics, government, ethics, biology and zoology. If we consider that he started from scratch he was a phenomenal biologist with great skills in dissecting animals. He emphasized the value of direct observation, recognized law and order in biological phenomena, and derived conclusions inductively from observed facts. The work consists of lengthy descriptions (Greek: historiai) of countless species of fish, shellfish, and other animals and their anatomies. 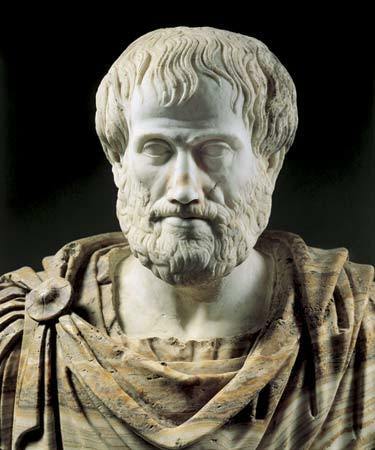 Aristotle made advances in the area of marine biology, basing his writings on his own observations as well as conversations with local Lesbos fishermen for a period of two years. It can be derived that he knew 117 or 118 fishes, most of them from the Mediterranean as well as 94 marine invertebrates. Most names were those given the fishes by the fishermen. Aristotle is known to have made behavoural observations on fish in the Kalloni bay of Lebos. In De Generatione Animalium he discusses his observations on the reproduction of marine invertebrates. A Roman author, naturalist and naval and military commander. He died during the eruption of Mount Vesuvius that also destroyed the cities of Pompeii and Herculaneum. Roman author who preferred the Greek authors. He wrote about a great number of subjects including stories of natural history. An English translation by A. F. Scholfield has been published in the Loeb Classical Library, 3 vols. (19xx -59). Unknown author, believed to be written in Greek in Alexandria in the second or third century. This collection of animal knowledge is claerly Christian; it briefly describes an animal, and continues with an Christian allegorical interpretation. The Physiologus was a "bestseller" that was translated into most of the major languages of Europe and western Asia; it is said that it was the most widely-distributed book in Europe after the Bible. Many variations on the text appeared over the centuries. The original Physiologus text, describing less than 50 animals, continued to evolve, accumulating more beasts and additional moral interpretations. The bestiaries (books of beasts) of the Middle ages are based on Physiologus.